Core i7 not cutting it anymore? Need substantially more computing power? Intel’s brand-new Core i9 lineup is here to save the day! 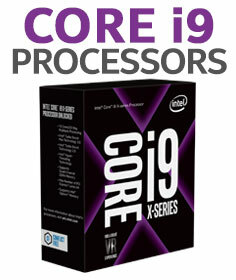 Bundling incredible performance and exceptional quality that Intel has delivered over the years, every processor in the Core i9 series features an astounding number of cores and threads, with the high clock speeds that make Intel processors superior. Starting with a whopping 8-core 16-thread processor, the Core i9 lineup features a fantastic 18-core 36-thread monster at the other end. 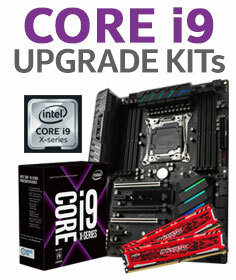 Refresh your aging PC quickly, with Evetech’s wide selection of Core i9 upgrade kits. Grab one and instantly own one of the most powerful PCs in the world! Choose from the powerhouse or go for a relatively budget option – allowing you the flexibility of a future upgrade – with little, to no effort. Need a complete revamp? We have you covered! 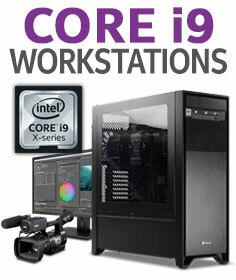 Our range of Core i9 gaming and workstation PCs offer exactly what you require. Sleek designs and attractive exteriors, monster Core i9 CPUs and hardware on the inside! 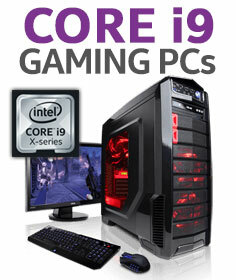 The Intel Core i9 offers everything from a moderately powerful CPU to a computing beast. Pick one and experience enthusiast computing at your fingertips. Megatask like a professional today! Open Monday to Friday 9a.m. to 5.00p.m. and Saturdays 9a.m. to 12p.m.